This folding travel mirror is ideal for those of you looking for a small mirror that also offers plenty of functionality. The mirrors stand supports the mirror at a very comfortable angle, and it also folds to allow for easy storage and transportation. The mirror itself can swivel from the one side that features one-times magnification, and a reverse side that makes things ten times larger. A nickel finish is used to give it a nice shine and protection against dust, dirt and other debris. For additional protection during transportation, a secure travel pouch is included. 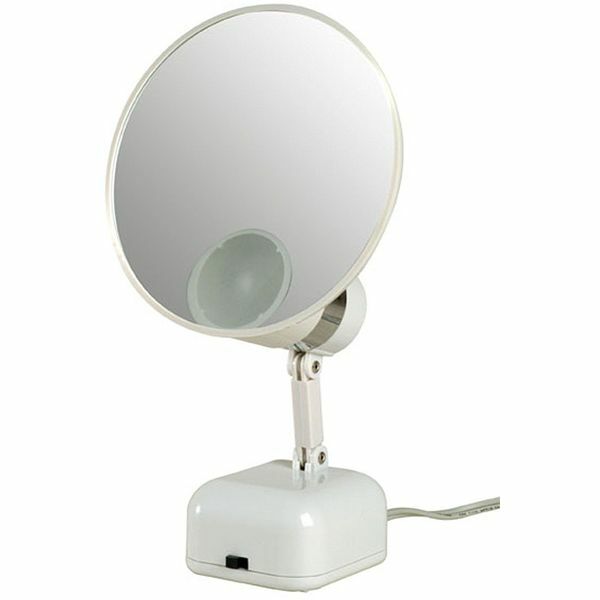 Thanks to this magnifying wall mounted mirror, your morning routine has just become five times easier. One side of this reversible mirror features the traditional one-times magnification while the other side offers five-times magnification. 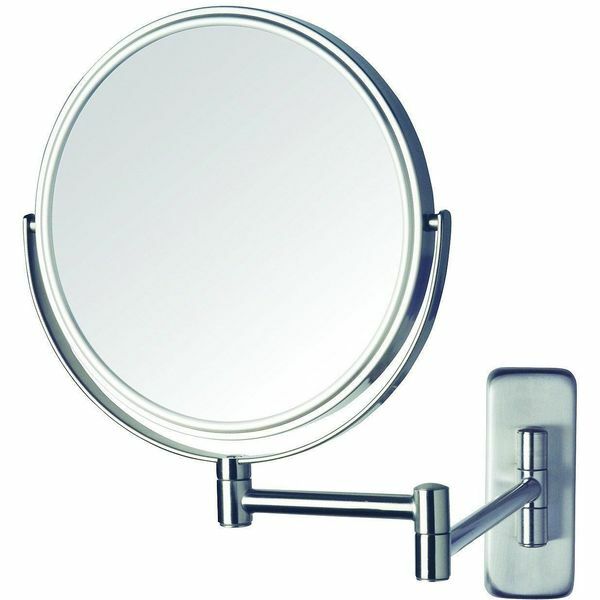 The swiveling design of the mirror makes the transition from one side to the other extremely smooth. 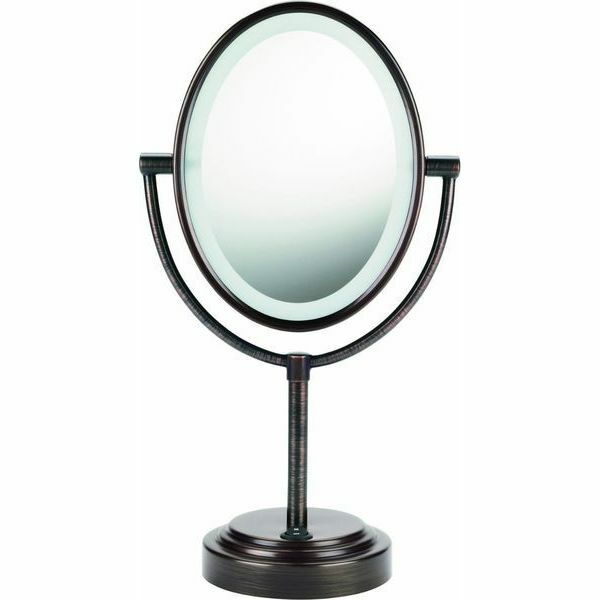 The swiveling frame used to support this mirror is eight inches in diameter, and it is capable of extending the mirror up to 13.5 inches away from its wall mount. 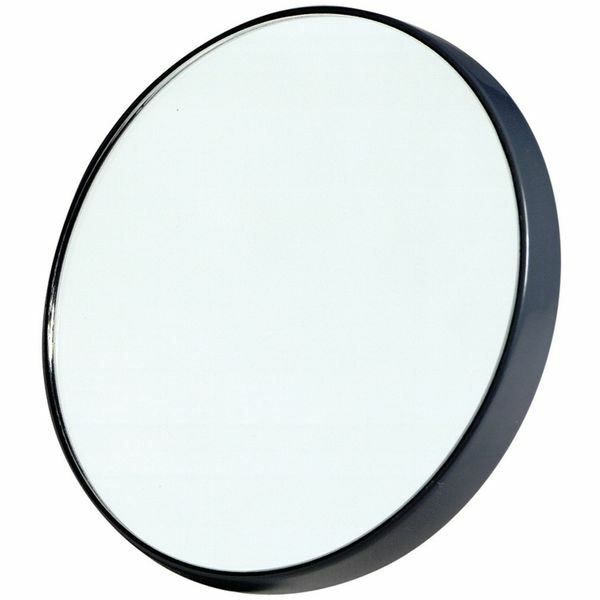 Like the Jerdon travel mirror, this wall-mounted mirror also uses a nickel finish to enhance its appearance. If you are looking for a mirror to mount on your bathroom wall that allows you to see things from several different perspectives, this mirror will get the job done. 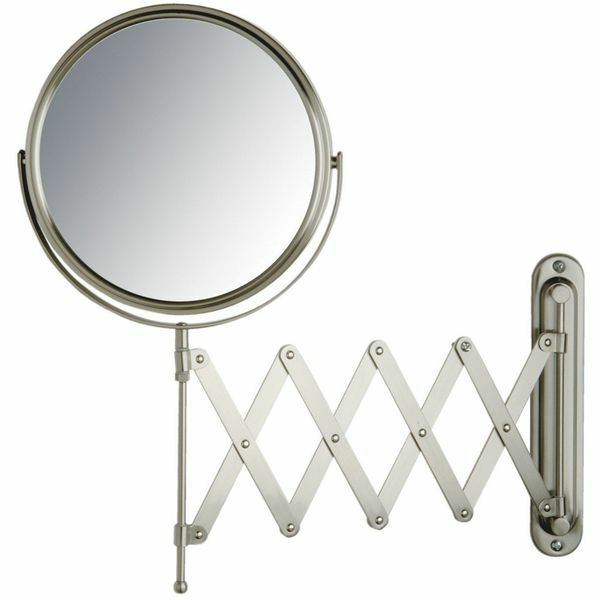 While some wall mirrors are stationary in design, this mirror utilizes a scissor frame. As a result, you can extend this mirror up to 20 inches away from the wall. Additionally, you can move it to the left or right to ensure that your hair style and makeup is as symmetrical as possible. Its stunning nickel finish adds even more value to this high-quality mirror. With a double-sided mirror like the Conair Illuminated that blends simplicity with modern features, you have the recipe for a mirror that will last for years to come. The reversible mirror changes from a standard mirror with one-times magnification to a mirror that offers seven-times magnification. Soft halo lighting is used to make getting ready easier than ever and also getting rid of the glare that greets you in an unpleasant manner. The picture perfect reflection glass also adds to the functionality of this double-sided mirror. Illuminate your morning, or evening, with this compact mirror. If you are looking to simplify your morning routine, the Floxite Supervision mirror is a solid option. 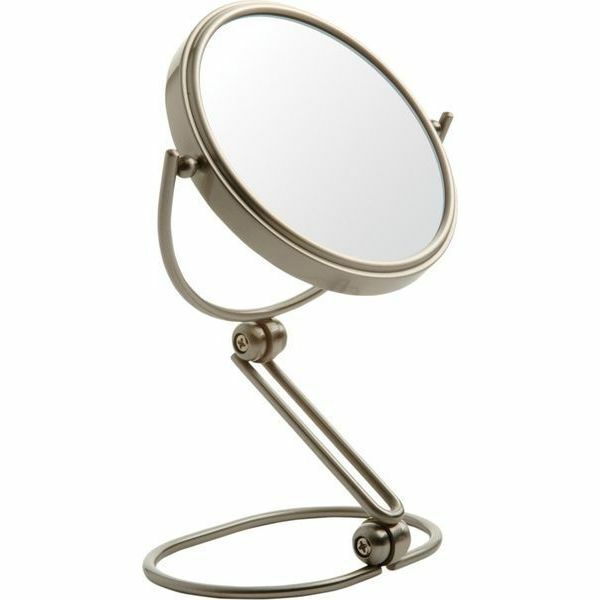 Although there is nothing fancy about this mirror, it is certainly packed full of features for the remarkably low price. The mirror offers 15-times magnification, which will ensure that you never have problems inserting your contacts ever again. A built-in light, which includes three lighting settings is also included. You can also easily adjust to the mirror to several different angles, which prevents you from having to contort your body into a weird position. Thanks to its detachable and folding construction, it is extremely easy to take along on trips.